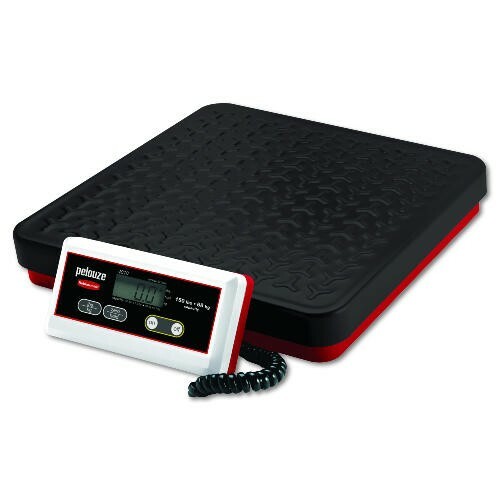 The DYMO� by Pelouze� digital shipping scales are built to withstand frequent weighing of heavy packages and containers up to 150 pounds. It includes a remote display head which allows you to view the readout at eye level and can be mounted to a wall. The 12� x 12.5� steel platform is built to accommodate large packages - ideal for a busy mailroom.